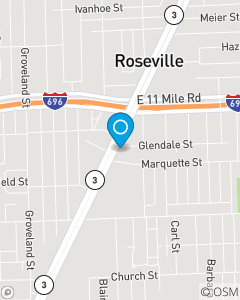 We are located at the corner of Glendale St. & Gratiot Ave.--1 block south of I-696. My vision is to be a life long partner with my customers by providing them prompt, accurate, professional and cost effective service through empowerment and multiple line products. By being accessible to multiple lines of products, my team and I will be able to assist our customers in managing their risks so they can effectively plan for their future.